ASI was established in 1979 by Bela G. Vadasz and Mimi Maki-Vadasz. We are America's original all-terrain backcountry ski mountaineering, avalanche education and rock climbing courses and instruction and alpine climbing program based Truckee and in the Sierra Nevada, visiting the greatest ranges of the world. 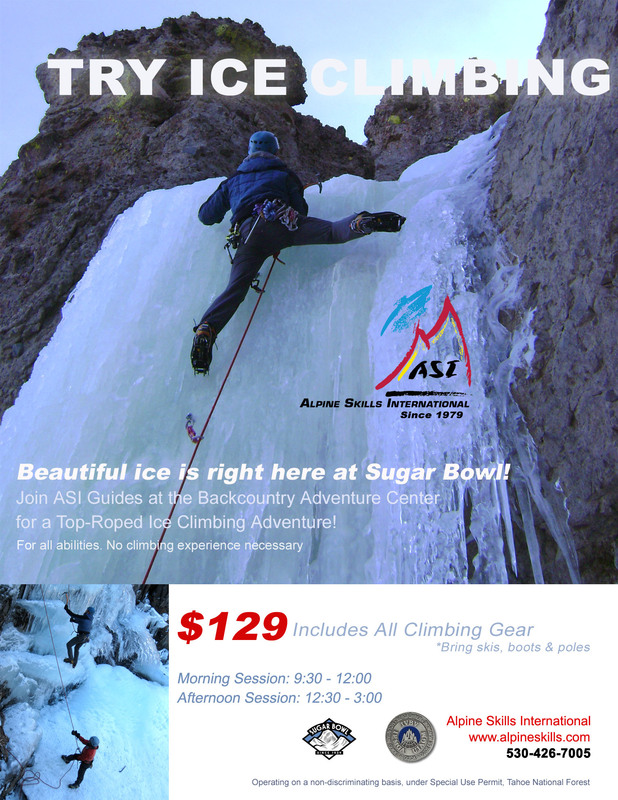 With experiences among the highest mountains in over 15 different countries, ASI's instructors and AMGA and IFMGA certified guides are also among the best and most experienced outdoor educators in America. We are the best in Tahoe. 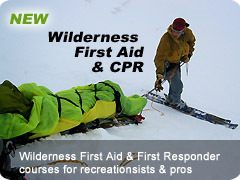 Winter - We specialize in AIARE Level 1, 2 & 3 Avalanche Courses, Backcountry Skiing, including telemark, alpine touring, as well as splitboarding and winter mountaineering in the immediate Truckee/Lake Tahoe area along with ice climbing on Donner Pass as well as the famous Lee Vining Canyon. 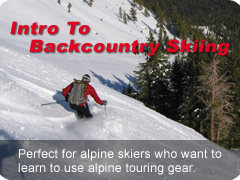 Also check out our Backcountry Adventure Center at Sugar Bowl Ski Resort. 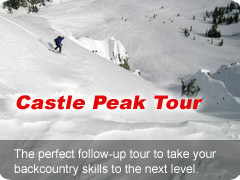 We offer daily sidecountry and backcountry tours with ski gear included. 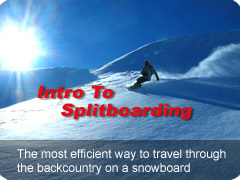 Spring - Enjoy high route ski traverses and ski mountaineering to destinations including Mt. 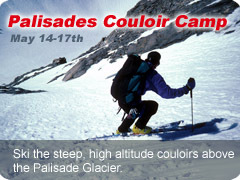 Shasta, the Sierra High Route, the European Haute Route and ski descents of the Tioga Pass area, the Palisades and much more. Summer - Offering Rock Climbing Instruction and Courses in Truckee, CA at Donner Pass & Donner Summit & Lake Tahoe and guided rock climbs at Lover's Leap, climbs of Mt. Shasta and many High Sierra peaks, including North Palisade, Bear Creek Spire, The East Face, East Buttress and the Mountaineer's Route on Mt. Whitney. 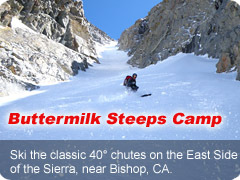 Fall - We guide great Sierra ice climbs such as Mt. Dana, the Dana Couloir, the U-notch and the V-notch on North Palisade and Mt. Sill. We visit many of the great ranges of the world including skiing inChile and trekking Himalaya & Everest Base Camp .